Taras Myskiv is really having a great 2018. 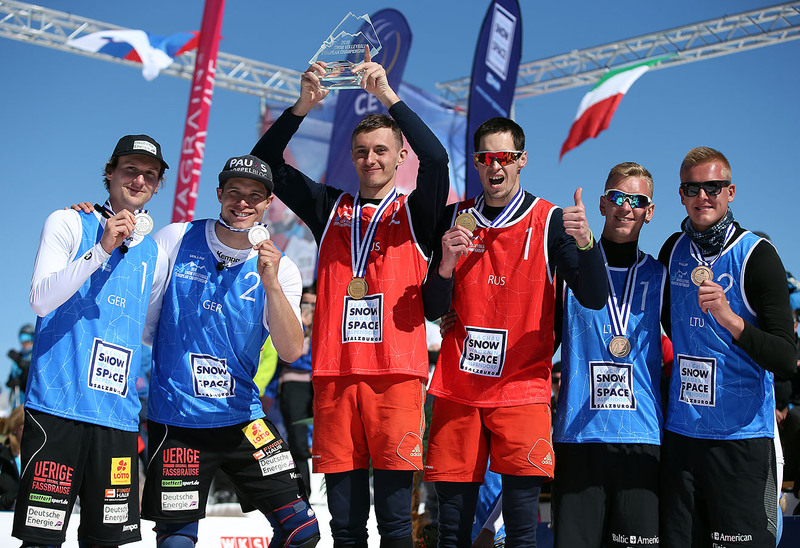 The first ever European Snow Volleyball Champion has recently claimed two podium finishes at the Malasya and Philippines FIVB World Tour stops earlier in the season, before finally achieving gold in Slovenia this weekend. “We had a really intense preparation period, and after a month we headed to Malaysia, the Philippines and Thailand to play World Tour events. It was difficult, the temperatures were really high and it was extremely hard for me to adapt. It was somehow tricky to switch from low temperatures to almost extreme hotness. We came to Slovenia on Wednesday and had some practices. Yesterday we played well in the qualifiers in Črnuče, not even the rain was an obstacle. Luckily, I got the chance to play with Valeriy, and I took it. I need to play as many tournaments as possible to collect points for the world ranking. Now I am here with a nice partner, at a nice venue and nice tournament. I will for sure be back here in Ljubljana again. For us, this was a really successful tournament, especially since we didn’t expect the win. This was the first tournament for my partner after a really long break and we even had to play qualifications. I am so happy that we managed to go all the way to the end and win here in Ljubljana.